The Rhine Research Center, located in Durham, studies telepathy, clairvoyance, precognition, and other paranormal experiences. The center traces its roots to 1928, when William McDougall left Harvard University to head the psychology department of Duke University in Durham. Notoriously sympathetic to nonbehavioristic approaches to psychology and a past president of the British Society for Psychical Research, McDougall, before leaving Harvard, had encouraged a young biologist named Joseph Banks Rhine to move to Durham to conduct experimental research into postmortem survival. Rhine did so, and in 1929 McDougall found him a position in the psychology department of Duke University. Rhine soon shifted the focus of his experiments from postmortem survival to psychic phenomena such as telepathy and clairvoyance, believing that these had to be understood first. He used Duke students as his subjects, asking them to guess target cards whose simple designs-star, cross, circle, square, wavy lines-had been suggested by psychologist Karl Zener, a colleague at Duke. Rhine achieved astonishing success with these cardguessing experiments, which he reported in his work Extra-Sensory Perception (1934). His assertion that telepathy and clairvoyance were common, easily demonstrable human abilities attracted enormous attention to his work and to Duke in the 1930s. Journalists found him an ideal subject for articles, and he returned their interest, actively courting popular science writers and in 1937 taking part in a series of national radio broadcasts sponsored by the Zenith Radio Corporation. His account of the Duke studies, New Frontiers of the Mind (1937), sold widely, and his research began to receive financial support from people anxious for him to extend his investigations to the possibility of life after death. Rhine's newly named Parapsychology Laboratory (he adapted the word "parapsychology" from a German term) soon disposed of more money for research and graduate student support than did most other branches of the university. It also began to publish the Journal of Parapsychology, which Rhine hoped would be a nucleus of communication within a new branch of science. But many psychologists were unhappy with what they interpreted as Rhine's unprofessional, publicity-seeking behavior, especially since his first successes seemed not to be replicable. Indeed, Rhine himself was dismayed to find after 1934 that only he himself could achieve statistically significant indications of success at extrasensory card-guessing. These issues continued to affect the field of parapsychology during the 1940s and 1950s. Rhine, then a professor of psychology at Duke, and his assistants continued their researchin new directions. They announced experimental confirmation of two other extrasensory faculties—precognition (predicting future events) in 1938 and psychokinesis (moving or affecting objects with the mind) in 1943. In 1948 Rhine’s wife Louisa began to collect and analyze reports of "spontaneous extrasensory perception." Through these initiatives, Duke and the Rhines continued to generate considerable positive publicity. In 1950 the Parapsychology Laboratory left the psychology department and became a separate entity at Duke. In 1965, at age 70, Rhine retired from the Duke faculty. He chose to take the laboratory’s endowment and redirect it as a private research institute, unassociated with Duke and renamed the Institute for Parapsychology. He set up the facility within his newly created Foundation for Research on the Nature of Man (FRNM) in buildings on Buchanan Avenue, immediately across the street from Duke’s East Campus. Rhine continued trying to identify good subjects, establishing a foolproof experimental procedure that could not be challenged by skeptics, expanding the application of statistics to their work,and carrying the research into new fields. Rhine finally resigned as director in 1973, but neither his resignation nor his death in 1980 materially affected the work of his institute. The FRNM remained a center of research into parapsychology, with a small permanent staff and a contingent of visiting students-although the automatic association of North Carolina and Duke with parapsychological research was no longer as strong in the public consciousness as it had been in Rhine's day. The FRNM was renamed the Rhine Research Center in 1995, on the centenary of J. B. Rhine's birth. In 2002 the center sold its property on Buchanan Avenue to Duke and relocated to a new facility on Campus Walk Avenue. The center continued to be a world leader in psychic research, studying unusual and unexplored areas of human perception. Seymour Mauskopf and Michael R. McVaugh, The Elusive Science: Origins of Experimental Psychical Research (1980). "The Rhine Research Center," Southern Living (October 2000). "Parapsychology Laboratory Records, 1893-1984." Rubenstein Library, Duke University. http://library.duke.edu/rubenstein/findingaids/paralab/ (accessed August 2, 2012). Lowery, Raymond. "Tar Heel of the Week: J. B. Rhine." [Raleigh, N.C.] News and Observer. July 22, 1951. Hodges, Betty. "Publication Enhances Rhine Credibility." Durham Morning Herald. January 9, 1983. Pride, Cletus. "ESP Pioneer At Duke Continues To Seek 'Hidden Side Of Man'." Durham Morning Herald. September 5, 1965. MacKenzie, Brian. "Joseph Banks Rhine: 1895–1980." The American Journal of Psychology 94, No. 4. December 1981. p. 649–653. Rao, K. Ramakrishna, editor. J.B. Rhine, on the Frontiers of Science. Jefferson, N.C.: McFarland. 1982. Westmoreland, Alan. "Head shot of Dr. J. B. Rhine, Director of the Parapsychology Laboratory at Duke University, 1956." Call # N.2000.7.32, State Archives of North Carolina. 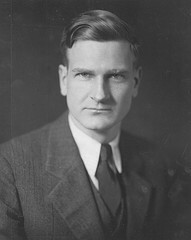 "William McDougall, 1938." Image from Flickr user Duke Yearlook/Duke University Archives. http://www.flickr.com/photos/dukeyearlook/4525716923/ (accessed August 2, 2012). 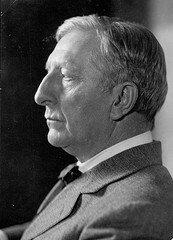 "Karl Zener, 1937." Image from Flickr user Duke Yearlook/Duke University Archives. http://www.flickr.com/photos/dukeyearlook/4537933291/ (accessed August 2, 2012). Himmelstein, Molly, and Brooks, Samantha. Durham's Home for Paranormal Activity, 2:51, YouTube video, posted by DukeChronicle, October 27, 2011. http://www.youtube.com/watch?v=82pLSn8kUhM (accessed August 2, 2012). 1 January 2006 | McVaugh, Michael R.